Have you heard that Amazon has made some changes with feedback and reviews? How will it impact your business? Are you prepared to adapt to the new changes? On this episode of The Amazing Seller, you’ll hear from Scott as he welcomes his friend and guest, Chris Guthrie. In his conversation with Scott, Chris explains how this new Amazon change will impact sellers like you, why you should check out Salesbacker, the value of learning from customer feedback, and so much more. Don’t miss a minute of this informative and engaging episode! What exactly is happening with Amazon’s recent change regarding follow up emails and reviews? Amazon came out saying that sellers are allowed to send one email per order to request a customer review. What you need to know about this is, if you have automated emails that follow up with your buyers, you need to make sure that no more than one of those emails is requesting a review. It doesn’t say that you are limited to just one email per order, just one email regarding a review per order. To get the full break down on this new change and how you can adjust your approach accordingly, make sure to listen to this episode of The Amazing Seller! Why you should check out, Salesbacker. Let’s face it, as your ecommerce business continues to grow, manually following up with your customers is going to increase from a small chore to a part-time job! What if there was a way to automate your follow up process so you could free up your time to focus on other areas of your business? That’s where Chris Gutherie and his team at Salesbacker come in! Salesbacker is designed to help ecommerce sellers get more product reviews and seller feedback ratings. To hear exactly how you can benefit from using a service like Salesbacker, listen to this episode of The Amazing Seller featuring Salesbacker co-founder, Chris Guthrie! When was the last time you took a customer’s feedback to heart? It can be a challenging thing to do! If you take a look at some of the most successful business leaders in the last twenty-five years, you’ll find that most of them relished the opportunity to learn from critical feedback. What will your approach be, will you embrace the critique or will you ignore it? Don’t fall for the easy way out! Press into the feedback you receive and use it as fuel to make a better product and win more loyal customers! 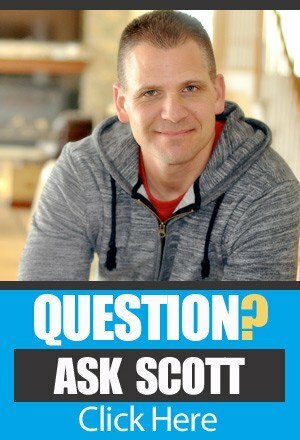 Listen to this episode of The Amazing Seller as Scott expands on this important topic and much more! Lead with high-quality customer service. Think back to the last time you were impressed as a customer, either by the product or by the service that was provided. How did that experience make you feel a consumer? What can you do as a seller to elicit that response from your customers? 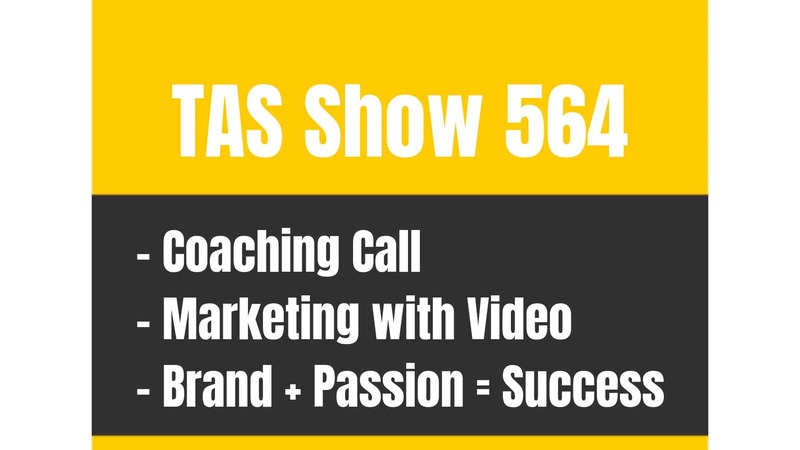 On this episode of The Amazing Seller, you’ll hear from Scott as he breaks down why customer service is an important component of a thriving and growing brand. You don’t want to neglect or take this aspect of business ownership for granted! Learn from Scott’s perspective and find out what to do and what not to do when it comes to taking care of your customers! [0:40] Scott welcomes his guest, Chris Guthrie. [2:30] Chris talks about a recent update to Amazon’s TOS regarding emailing customers. [10:00] Why you should check out Salesbacker. [12:15] The value of learning from buyer feedback. [15:00] How to create the best follow up method. [17:30] Why it’s important to customize follow up emails. [21:30] Embrace the change, don’t be afraid of it! [24:30] Closing thoughts from Scott. …reviews and feedback and the new update or the discussion that people have been having with following up with our customers, how much can we, can we at all? Well, I’ve invited on a good friend of mine, Mr. Chris Guthrie to talk about this and to kind of see what he thinks about the future of this feedback and reviews and all of that stuff. So, Chris, what’s up my friend? [00:00:34] Chris: Scott, thank you so much for the invite. Glad to be back and happy to be here. [00:00:39] Scott: Yeah. Always fun catching up and talking shop. You and I also like to talk just amongst ourselves about other things that we’re working on, real estate, whatever it may be, sites that we might want to buy, all that fun stuff. Why? Because I don’t know, we like things to work on, I guess. So, the reason I want to have you on, obviously, you have a tool called Salesbacker and there’s a bunch of other tools out there as well that do very similar things which is really following up with our customers and I think people still are, I think they’re still worrying about getting more reviews and getting feedback and what can we do, what should we do. First thing I just want to say is before we even dive into this is that I’ve said this for the longest time is you should not be launching your products depending or making it dependent on you getting a whole bunch of reviews. I think that’s where your product research comes in. I think you should go after products with low competition that don’t need a lot of reviews and I say not a lot like 200 or less would be a good number to shoot for. If you’re going after ones that have thousands, it’s going to be a long road and a long journey, and you’ll probably be tempted to do some black hat stuff which we don’t want you to do. But what I do want to talk about here today, Chris, is the big announcement that everyone’s been kind of talking about. I want you to kind of give me what you know and what is best practices as of recording this and we can kind of go from there. So, what has happened in the Amazon platform or channel with following up with your customers? [00:02:14] Chris: Yeah. So, this has been kind of an interesting one like I know I’ve been on in the past to talk about different changes that Amazon’s made. There’s been quite a few over the last several years we’ve been in the space and talking about it but on the most recent one and I’ll just say upfront that it was actually instituted this change and then they remove the change and the language isn’t on the page anymore so it’s kind of like this and we’re like, “Okay. Are you going to make this come back? Are you going to just leave it? Are you going to change it and bring it back?” So, it’s sort of in limbo mode but I’ll just start from the beginning and where we’re at today or where we’re at in the past. October 11 was when they added on their communication guidelines page which I can give you this link as well so you can include in the show notes stuff but basically out on the pages it said something along the lines of, well, actually it is specifically you are allowed to send one email per order to request a customer review. And so, at the time you’re telling people, “Okay, what they’re saying is that if you have two emails that say include your review link then, yeah, you would just remove that review link and so you could instead ask seller feedback in that link or that email instead.” And so, we basically just told sellers to modify their existing email campaigns so that if they had two emails that were saying a review then they could say ask for seller feedback instead or one of those emails you could include just, “Thanks for purchasing.” And so, you could still definitely still send more than one email. 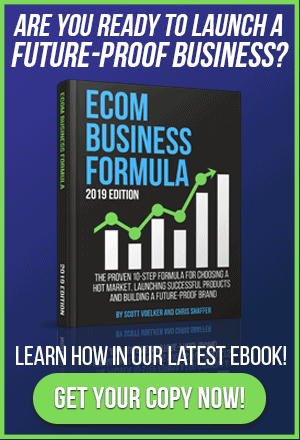 For example, like your first email might be, “Thanks for purchasing,” and then you can include your PDF bonus or instruction manual if you have a product that is more complex and you want to include a digital copy for customers as well. Your second email could be for seller feedback where you could ask for seller feedback and then the third email be asking for a product review. And that’s actually I think you try to recall is kind of the way that you like to recommend doing your email campaigns back when we first talked about years ago, right, Scott? [00:04:08] Scott: Yeah. Absolutely. And I still think that that’s a great way to do it because again you’re not out there just saying, “Hey, give me a review.” It’s kind of like you’re making sure that they’ve received what they were supposed to receive, if there’s any questions, if there’s any problems, whatever, you could be aware of it and you could take care of them. I mean, to me, it’s always come down to how do you give the best customer service that you possibly can so they’ll just automatically give you a good review anyway or a feedback but, yeah, you’re right. That’s the first thing and then, obviously, the second one was always feedback and then if they had given us feedback, a lot of times they give you a feedback but it’s really a review in the feedback and then we would just follow back up with them and say, “Hey, if you wouldn’t mind, would you leave us a review and let us know how we did?” or whatever like that. So, this way here, it wasn’t directly asking for the review. The other cool thing is, is that if they didn’t leave a review and it was in the in the feedback, a lot of times you could just get that removed because it wasn’t a feedback review. Technically, it was more of just a review on the feedback which that’s not what Amazon wants. They want feedback as a seller how did they do. [00:08:17] Chris: Exactly. So, a feedback if it’s product review just left them a feedback field and that’s technically not what they want. This is a metric primarily for third-party sellers to make sure that they’re delivering products well which if you’re using FBA then you are because Amazon is taking care of it and so that’s kind of like that separate metric and that way you can kind of help throw out some of those negative reviews that might have been posted as seller feedback. [00:05:42] Scott: Right. Okay. So, from what you’re gathering from reading what they had said and then they took it away and whatever but basically saying like you can send one request for review but they didn’t say anything that you can’t follow-up and say, “Hey, I just wanted to make sure that you got everything okay and here’s a free resource for you to go check it out or here’s a PDF that will help you set up your new item or whatever.” It didn’t say anything about that. It just said, “You can only send one request for review.” Is that correct? [00:06:16] Chris: Exactly. Like it was just very explicit that one of the emails you can send is to ask for customer review essentially. You’re allowed to send one email per order to request a customer review. They didn’t say you’re allowed to send one email, period. It’s just you’re allowed to send one email to request a customer review. So, you can still send other emails that might be related to customer service needs or things like that. So, that’s what it was is just that one kind of change. [00:06:46] Scott: Okay. And so, for everybody getting like upset and thinking like, “Oh my gosh, I can’t send any more emails,” that’s not necessarily the case. It’s just the review request is what they’re talking about. Now, whether they change that, can’t say 100% for sure. I mean, no one can say what Google is going to do on their next update in their algorithm or whatever, right? Like, we can’t say what’s going to happen but we can say as of right now that is how we believe that it’s interpreted as far as the terms of service. [00:07:18] Chris: Exactly. I mean, I think the best way to look at it is that Amazon’s always going to be making some of these changes from time to time, and generally speaking, people tend to overreact, sellers tend to overreact, and so sometimes they overreact when it’s just like, “Oh, I’m just not going to send any emails at all now,” even though that’s not at all what the change is related to. And so, we’ll see stuff like that and like customer support tickets will come in and then there’s just kind of a flurry of activity where people are kind of concerned and then it’s like, “Well, no, this is actually what’s going on.” People calm down then it kind of dies down. And then, in this case, October 24th is when they actually removed that section. It was Section 4 of the communication guidelines on that page. It was removed entirely. So, they’ve done this in the past where they’ve added and then removed language. And so, again that may happen. They may be just add it right back in exactly as it was, but for the most part, it’s just try not to overreact too much. Just look at what the text says literally and then make your decisions based on that. And of course, if you have questions and you’re using Salesbacker or you’re using someone else but you still have questions, you can always reach out to us and we can give you our interpretation of what the current state is when changes come in. [00:08:27] Scott: Yeah. And I wouldn’t even say this like let’s say for example that that was the case. You could only send one email, not asking for review or feedback or just any notifications. Let’s just say there was only one that you could send. I still think that I would send that one email and I still would use a tool to do that for me because to me, I’d rather automate something and have it be as though like I hired a VA to go in there. On all my orders if I sold 65 units yesterday, there’s going to be 65 emails that are going to go out when that product was delivered to that person. Like, I would rather do that than have to even hire someone and that’s why I’m still a promoter and a fan of Salesbacker and I’ve been using it and it’s working wonderfully and I’ve got students of mine that are using it and even just listeners. So, I know still you’re also still offering basically the free trial so you can go in and test it out without even putting a credit card in and all that stuff, right? [00:09:31] Scott: Yeah. So, guys, if you’re not doing that, I would definitely recommend following up with at least one email just to let the people know that purchase from you that you have great customer service and if all it said was I’m just checking in, I wanted to thank you and I wanted to see if you had any questions because we want to take care of our customers because that’s what we do here at XYZ company like that’s what you should be doing, definitely check out Salesbacker, TheAmazingSeller.com/Salesbacker. And again, I’ll leave everything up in the show notes, TheAmazingSeller.com/Salesbacker. Yes, I am an affiliate for it and, yes, I do earn a cup of coffee from Chris. So, Chris, thank you for the coffee by the way. It’s always good when I get to drink a cup of coffee from you. So, just to let you guys know like the thing I love about Salesbacker too and you guys being able to try it is like you don’t even have to put a credit card. You can just go over there. I think the templates are still intact, right, Chris? Like you have templates that are already pre-built. And really the templates, even the old templates technically are still okay because it only ever requested one review request. The other ones were always feedback then reviewer review then feedback. So, you know, I think that if you just even use the templates that are in or if you just want to use your own, I think you’re still ahead of the game, but the one thing I want to stress is that customer service if you want to stand out in this crowded space, you need to have amazing customer service and that’s even you being inside Salesbacker and then you being notified that there was a negative review left on your thing and then you’re instantly able to go over there and then communicate with that reviewer on the review itself to show that you’re behind your company and that you want to take care of your customers like that’s another thing that I think a lot of people dropped the ball on. [00:11:18] Chris: Definitely. There’s people that will just go, “Oh, I got a negative review. That’s a bummer,” and they won’t comment on that public review but commenting on the public review is important, particularly if the product that you’re selling or the niche you’re operating in just has buyers that are more sensitive to doing research and trying to really determine if it’s something they want to move forward buying and there’s a lot of competitors. Because if they see that the company is replying and they’re willing to make things right, they’re providing instructions on how to contact them then that’s much different than just simply saying a negative review and then no one saying anything. [00:11:50] Scott: Yeah. I think that’s huge and the other thing I want to point out too is when you’re able to see these like a lot of people they’ll just ignore those or they won’t pay much attention to those. You and I were talking a little while ago and you were telling me like you’re hiring someone that’s going to go through for product development to look at your negative reviews on certain products so this way here it helps you develop products, better products. [00:12:14] Chris: Definitely. I mean, if you can find ways to, I mean, if you’re not ready, if you’re doing your customer service yourself then you’ll be seeing these emails as they come through. Typically, when I talk with sellers, one of the first people they hire is someone to help with customer service and if you can use the feedback they’re providing as complaints to your products or things that they wish that things can be different then you can use that feedback to iterate and provide a better product with future orders as well and that’s something that’s definitely worth doing as well. [00:12:42] Scott: Yeah. Absolutely. Let me ask you this because a lot of people are still like not sure or they don’t even consider it but do you feel like the feedback on your account is worth something? [00:12:54] Chris: I’m still in the can if it’s worth asking for seller feedback in addition to asking for product review. I think they’re both important metrics to have. I think that in the end, the product reviews are still, well, in my opinion, the more important metric. But it’s still good to ask for both because it’s kind of like, you know, I think seller feedback is kind of just like getting if I use like a Google analogy they’re like kind of getting links to your seller profile and that kind of help when you’re launching new products if they see that you’ve got a higher seller feedback and got a lot of products and then in addition to that, you have thousands of reviews across those products then that can be well for when you launch new products. [00:13:36] Scott: Yeah. And that’s kind of what I was leading towards. I mean myself, I believe, I can’t prove it, but I would think that the more feedback you get on your account, the more seasoned it gets kind of like you said like an authority site that would build over time and you have – it’s like you have history with Amazon and they’re giving you votes by a link in a sense. The same idea, you’re getting a vote that you’ve done a good job and same thing works that if you have like a three-star on your feedback, that’s going to hurt that also take you down. So, that’s why I think the health of your account is based off of your feedback in some way. [00:14:15] Chris: Definitely. I agree with that as well. Of course, the reviews it’s much more simple. It’s just if you have comparing different products in the same niche, if you see a competitor that has a lot more reviews than you then they’re going to be more likely to get the sale than you are all else being equal if they’re just looking at two exact similar products. Of course, that’s why we talk about trying to make COGS that are more unique and using the feedback from reviews that you see to improve those products as well. But it’s like a whole other discussion. [00:14:46] Scott: Yeah. Absolutely. Okay. So, let me ask you this. While I have you on here, I want to pick your brain on this. So, what are you seeing right now that you feel is like good practice for people to utilize the follow-up to get the most out of that follow-up like what are you seeing? [00:15:05] Chris: Yeah. Honestly, it’s still a lot of the same. It’s just that first email to provide the outlook for customer service and to kind of almost preempt problems before they become problems because they know that, “Okay. I can contact the seller if there’s an issue and I remember receiving email,” then that follow-up email after that to ask for seller feedback where you can send that shortly after the product’s been delivered. And then finally, they’ll just ask for products review like that’s still kind of what you talked about early on and that’s still kind of what we see doing really well with sellers as well. Some seller sends occasionally more emails than that. Others send less but that’s still like a great practice. And the reason why I think that long-term Amazon will continue to allow sellers to send emails is just because they know that getting more reviews in the products in Amazon is in the best interest of their marketplace because it helps buyers make more informed decisions. So, in my opinion, it’s unlikely that they’ll make any change to that. And so, for now, it’s still just those three emails is what as a really common good solid strategy. [00:16:08] Scott: Let me ask you this, and I know that one of the other big ones is like people can opt out and deliverability like what are you seeing on that front? [00:16:17] Chris: You’re always going to have a bit of a drop off compared to maybe what it was like several years ago. We’re still seeing sellers being effective and they’re continuing to use Salesbacker at least from the stats that we see that people are still getting guy from the service. And so, I don’t know if it’s been a huge, huge impacts. There’s going to be a little bit of one right because people can opt out of receiving emails but really the thing, the way I like to look at it is that you don’t really want to email people that don’t want emails in the first place because that could end up giving a negative review or just kind of getting mad as occasional random people do that you’re interacting with that had purchased your products. And so, really we kind of saw that change. That was like another change a while back. We saw it as more positive because it just gets – it makes sure we aren’t able to email those people that don’t want those, don’t want to be getting emails anyways. [00:17:12] Scott: Yeah. The other thing I think for people is like, “Well, people aren’t seeing my email or they’re not opening my email.” Can you give us a couple of thoughts or tips on what would be good practice for a good subject line that could get you to get more opens or at least to get people to see it? [00:17:33] Chris: Yeah. So, you kind of alluded to that earlier. We do have prebuilt email campaigns when people sign up, they can use that and they can use this like an initial starting point. Another thing too is I do believe that people will get better results if they can customize their emails more specifically and so if you’re doing research just like email marketing, best practices, or email marketing tips or doing strategies like that but then tailoring it to your specific niche, you can get much better results than anything more general that I might say or that you might read or even that you might see from specific existing campaigns. But doing things like asking questions like what did you think of this product? Those types of subject lines can do well. It’s not to say for every single niche because they can be different, but I would save it to look at what’s, just look at the space you’re in, and try and kind of tailor that. I still like using humor in emails that we sent. Those have done well, but I’ve seen people like allude to those in product reviews in the past and things like that but that’s what I suggest really. So, look at the niche that you’re in and then try and focus on writing emails and trying to really target to that demographic like who is your most common buyer and what do they care about? And then kind of tailoring your messaging in that way. [00:19:04] Scott: Yeah. I love that. I think one other little side tip that I would like to give is like when you’re sending this stuff out, you’re also initiating a conversation and if you do get someone that replies to you, definitely make sure that you reply back. Like, they’ve opened up a dialogue with you. They’ve opened up the conversation. If you message them back like I’m telling you like most like sellers are not doing that. So, if you want to stand out, they’re like, “Oh my gosh, the owner actually reached out to me and did this.” So, that stuff goes so, so far on how well you can do and stand out amongst all the competition. Again, I see a lot of people they just bank on the product, they bank on getting some review someway, somehow, and they think that’s the answer to everything. To me, the answer is to continually show up and really provide customer service like top notch and the other thing is, is if there’s ever a problem, do not hesitate to just give them like a refund or give them something in exchange for their troubles. Like that could be shipping them another product to saying like give one of these as a gift to your family or a friend or something like that. We want to make sure that you’re 100% satisfied. So many people look at that one sale like, “Oh my gosh, I just lost money on that one sale.” So, to over deliver to those people it just goes so, so far in really just standing out from the crowd. I just see a lot of people don’t realize that but you have such an opportunity there. Don’t ruin that. [00:20:37] Chris: Definitely. That’s a great suggestion for people as well. [00:20:41] Scott: Yeah. Absolutely. All right. Cool. So, again, I just wanted to get you on and kind of give me like I guess from someone that actually runs a business that deals with giving feed or sending feedback and reviews and just emails in general, I wanted you to tell me your thoughts that you have. Anything else you want to add here before we wrap up that anyone should know? [00:21:04] Chris: Yeah. And I know this is kind of more of a shorter episode because it’s just kind of like here is this change, here’s what we’re telling people when they’re asking, and then now the change is gone so now we’re just kind of wait and see if they bring it back on. So, I would just say that if there are changes in the future which there are certain to be when you’re dealing with Amazon on really anything whether it’s messaging, reviews, anything along those lines, there’s going to be changes in the future. Certainly, if it’s related to something that we do in Salesbacker then you can contact us and we’ll be able tell you up to date, what we advise, but I would just say that just be able to just embrace the change and be willing to find ways to continue to differentiate yourself from your competitors. And if there’s any ways you can do that, whether it’s in the marketing you’re doing, trying to do things off Amazon, which like I know you’re talking a lot about as well, Scott, to try and launch products and things like that but I would just say be willing to embrace the change and know it’s going to come and if there are things that come up then certainly reach out to us and we’ll let you know what’s going on. [00:22:08] Scott: Absolutely. I mean, you guys have to be like on that. You know what I mean? And kind of like whenever I hear a change, I’m instantly like messaging you and I’m like so what’s up with this? Or what’s your thoughts? What are you guys doing? And so, this way here, you guys have to know more or less kind of pay attention to that stuff because you’re dealing with that. Wouldn’t you guys also be kind of cut off from the API or am I wrong in thinking that? Like is the API connecting, is that allowing you to do something that eventually not be able to do something? Couldn’t they just cut off the excess of the API? [00:22:43] Chris: I mean, the API is used for more than just… It’s just one that we use so you can likely do that. If Amazon whenever they make a more severe change, then they would just make it through like their GOS update but like when saw that change come through for instance, we did like a mass mail to everyone that was an active user of Salesbacker at the time, told them to modify their email campaign so that if they had more than one product review link in a separate email to just have a product review link in all their other emails. But from those, that was the only change and that’s all that’s really said but, yeah, we’re of course on top of that. And so, if things change which maybe they will the future, we’ll, of course, notify people that they need to be notified as well. [00:23:23] Scott: Yeah. Awesome. Yeah. Well, definitely go check out Salesbacker. I’m still a fan. I’m using it and again, I’m still going to be following up and it would either be a tool like this or someone that I would hire to send manual emails. So, I’m going to use a tool while I still can so definitely check out Salesbacker, TheAmazingSeller.com/Salesbacker and again I will include the link in the show notes. You can get a free trial there, no credit card, go ahead and start sending emails. As soon as you get orders, you’re going to start sending emails as long as you set that up to do so and you can start communicating with your customers. So, Chris, thank you so much for taking time out of your day and coming on the show and giving us the ins and the outs of this complex Amazon system and channel because it’s always changing as Google is, as YouTube is, any channel. They’re going to be monitoring this stuff. So, once again, I want to say thank you for coming on and kind of clearing up some of these rumors that have been going around and giving us your take on that so I appreciate it. [00:24:26] Chris: Yeah. Thanks, Scott. Thanks for the invite. [00:24:29] Scott: All right. So, there you have it. I wanted to have Chris on once again to kind of get to the bottom of this and let us know what is happening right now and also what his thoughts are on this new announcement which was there, and now it’s gone, and who knows, maybe it’ll be back but I think now you can see best practices are always usually the right thing to do anyway. We’re not trying to game the system or anything like that and that’s why I like having Chris on because we get to hear exactly how he would approach it. He has to do things aboveboard. He’s got a lot of people using that tool and he needs to make sure that he’s doing things on the up and up. So, hopefully, you found value in that. Hopefully, you think about how you want to follow up with your customers in the future and I think that you should. I think you should really do a great job of serving those people and making sure they have the best experience possible. So, once again, a little reminder if you want to check out Salesbacker, head over to TheAmazingSeller.com/Salesbacker. And I’ll also link everything up in the show notes so you can head over to TheAmazingSeller.com/593. Once again, the show notes can be found at TheAmazingSeller.com/593. All right, guys. So, get out there. Have some awesome customer service there so your customers will be raving fans of your business, of your brand, and you will grow. No matter what Amazon does, no matter what algorithm changes there are, you’ll always be able to serve your customers and have an amazing business. All right, guys. So, that’s it. That’s going to wrap it up. As always, remember, I’m here for you, I believe in you, and I am rooting for you, but you have to, you have to, come on, say it with me, say it loud, say it proud, take action! Have an awesome amazing day! And I’ll see you right back here on the next episode.